Yet another wonderful video to make your day! The day on a farm starts so early that it’s easy to imagine that you’d get worn out pretty quickly. Unless you happen to be a border collie. This border collie either paced itself all day, consumed an energy drink (kidding … please do not let your dog consume an energy drink) or just started its day, but the dog is so very pumped to spread some hay. The dog’s farmer companion can’t even keep up with the pup! The hay is barely on the pitchfork before the border collie has yanked it off the truck and shaken it around the ground. This seems like an efficient way to spread hay, too. The border collie gets to expend some energy, the human just has to stand on the bed of a truck and the hay goes exactly where it needs to. After this, maybe they go and sit on the porch and admire their hard work. Or they go and herd sheep. Seeing the energy level of this dog, it’s probably sheep herding. At 11am this morning I am checking in to the local hospital in nearby Grants Pass for a colonoscopy. I am very hopeful that this routine examination will not find anything to worry about. However, yesterday evening I had to take the first of two doses of Bowel Preparation ‘Kit’. That was after a full day staying off solids!! The second dose is being taken at 7am PDT this morning. One could take a tongue-in-cheek view that the results will not be a pretty site. Once back home a decent shower and a lovely meal will be the order of the day. So with bathing in my mind, let me share this recent delightful item that was published by Mother Nature News. Noel Kirkpatrick April 4, 2017. The husky on the right is just there for a relaxing soak and maybe a good shampooing. Its pal, on the other hand, wants to dig through the water the entire time as if there’s a bone somewhere buried just below the water. All is takes is love! Too easy to be very disheartened about us humans so this makes a wonderful contrast. As seen on Mother Nature Network and republished to offer you all a ‘Saturday smile’. Noel Kirkpatrick May 4, 2016. With a swish of his flipper, a dolphin named Octavius became the first to be rescued, rehabilitated and released back into the wild off Louisiana’s coast. The rescued dolphin returned to the Gulf of Mexico on April 29 after five months of rehabilitation and medical monitoring in Louisiana. 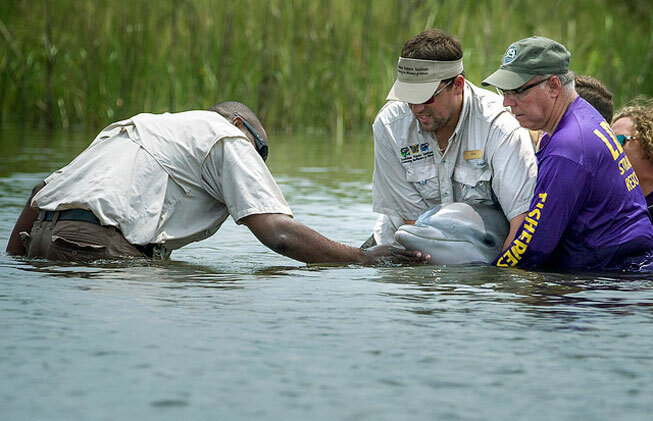 The process from rescue to release was spearheaded by the Audubon Nature Institute and the Louisiana Department of Wildlife and Fisheries (LDWF) with assistance from the NOAA’s National Marine Fisheries Service and Chicago Zoological Society’s Sarasota Dolphin Research Program. After receiving a call from a private citizen regarding a washed up dolphin on Grand Isle Beach, biologists from the LDWF headed for the scene in October 2015 to see if the dolphin could be saved. The dolphin was transported to FMASSC where the process to get him ready for reintroduction to the ocean began. Determining if the dolphin — named Octavius in honor of the veterinarian working most with him — was ready for release was a multi-step process. Octavius was monitored for behavioral challenges, ranging from swimming and breathing to becoming reliant on and desensitized to humans. Octavius demonstrated no such issues. “Dolphins are very intelligent animals. Over time, they can learn to associate humans and boats as a source for food, which is why it is illegal to feed them in the wild,” explained Mandy Tumlin, the Louisiana state stranding coordinator for marine mammals and sea turtles. 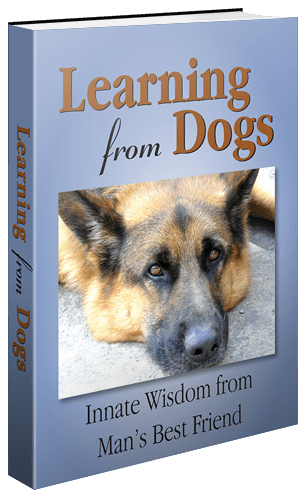 The next two steps Octavius had to clear dealt with his overall health. He demonstrated no signs of hearing impairment, a key component for dolphins’ survival. In addition to hearing, veterinarians checked Octavius’s blood for congenital defects or other medical problems that could make surviving in the wild more difficult. Octavius passed all three of the steps related to release, but vets weren’t through just yet. Because of his potential age — vets estimated Octavius to be between 1 and 7 years old — Octavius was affixed with a tag to the dorsal fin by Dr. Randy Wells, director of the Chicago Zoological Society’s Sarasota Dolphin Research Program. “The tag allows for satellite tracking as well as radio tracking. Since he could be a younger animal, this type of monitoring is necessary to ensure he is thriving back in the wild,” said Tumlin. After all of this, Octavius was transported to Barataria Bay where he was released and swam back into the ocean of his own volition. A young dolphin has been released back into the waters off Louisiana’s coast after being found stranded on a beach a year ago. The Audubon Nature Institute believes that high waters and rough sears from Hurricane Patricia likely caused him to get stuck there. He was lethargic and short of breath. They named him Octavius and brought him back to their facility for rehabilitation. Before he could be released he had to reach milestones that include behavior and medical tests.